Frank Guastella Anderson, MD, completed his residency and was a clinical instructor in Psychiatry at Harvard Medical School. He is the chairman of the Foundation for Self Leadership (the Internal Family Systems Therapy organization) and has served on the research advisory committee and the speakers bureau for the Center for Self Leadership. 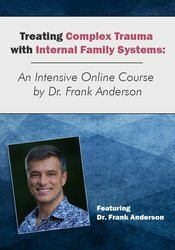 He has lectured extensively on the Neurobiology of PTSD and Dissociation and wrote the chapter "Who’s Taking What” Connecting Neuroscience, Psychopharmacology and Internal Family Systems for Trauma in Internal Family Systems Therapy-New Dimensions. He has maintained a long affiliation with Bessel van der Kolk’s Trauma Center at Justice Resource Center in Boston and maintains a private practice in Concord, MA.